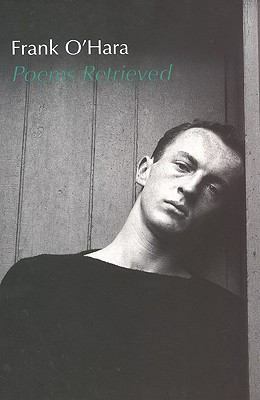 Frank O'Hara 1926-1966 Poet Frank O'Hara was born in Baltimore, MD and raised in Massachusetts. He served in the Navy and then studied at Harvard and the University of Michigan. From 1952 to 1966, O'Hara was on the staff at the Museum of Modern Art. He was a critic and a playwright and stayed active in the art scene. O'Hara published six books of poetry from 1952 until his death. Frank O'Hara died in 1966 when he was run down by a dune buggy on Fire Island. An Epilogue: To the Players of Try! Try! What Sledgehammer? or W. C. Williams's Been Attacked! What Happened to "The Elephant Is at the Door"